Whether big or small, South American cities never cease to disappoint. The cities here are always vibrant and energetic, colorful and boasting rich cultural as well as historic heritage. We have picked ten great towns that you should consider visiting once in your lifetime. The resort town is founded in the desert oasis and the shore of the small lake. It is a popular attraction among the tourists, who come here to sandboard and ride the dunes in the buggies. In the early 20th century the oasis was a popular resort for the rich from Lima. Today it is a wonderful destination for the adventure tours. Sandboarding is a non-professional sport, that even children can do. The desert tours and oasis are a very attractive and unexpected place for the visitors. The most important seaport of Chile is situated 112 km (70 mi) from Santiago. The city with its colorful houses and steep streets was known among the sailors as “Little San Francisco”. Declared a world heritage site and protected by UNESCO, Valparaiso’s eclectic architecture attracts tourists from all around the world. To see the beautiful town and get a lift by a funicular, which is considered to be a historic treasure of the city. The oldest settlement in the country, founded in the early 16th century. Today due to the rich historic heritage, which includes fortifications, churches and houses from colonial era, Old San Juan is considered to be a National Heritage Site. The mix of Taino people – the locals – and the European descendants resulted in a city’s rich heritage. Everything in Old San Juan is colorful and eclectic: the houses differ in color and style and even the pavements are made of the blue bricks, making it a very attractive and amusing place. Founded in the 16th century by the Portuguese, the city first served as a village, which gradually grew into the capital of Brazil. Today the megacity has the most exciting nightclubs ever, where champagne and luxurious liquors flow freely. Also the abundance of great restaurants attract visitors, who are willing to discover the versatile local cuisine. Also called the jewel of the Caribbean coast, Cartagena was established by the Spanish colonialists in the 16th century and served as the colonial center at the time. Today its old town, walled city and the fortress are being protected by UNESCO. One of the best preserved historic cities in Columbia is among the most popular tourist attractions in the country. The capital of and the largest city in Peru has it all: staggering nature as well as vibrant urban culture. The city is posited on the coast, overlooking the Pacific Ocean, found on the valleys and rivers. It is also home to one of the oldest universities in the world – the National University of San Marcos, which was founded in the mid 16th century. Admire the impressive blend of culture and nature. The vibrant capital is an entire state to discover. The Historic center of Mexico City has an abundance of well preserved historic architecture, which, along with Xochimilco’s floating gardens, is protected by UNESCO. Visitors are welcome to discover the local cuisine in numerous restaurants, art in the museums and hip urban life, which is busy all day and all night. One of the most important cities in Americas – Mexico City is definitely a place to see at least once in your lifetime! 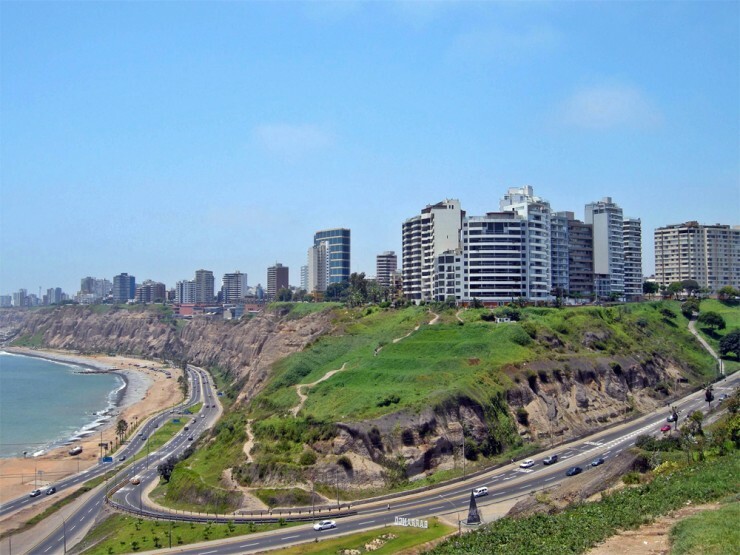 The capital of one of the biggest countries in South America is the hub of culture. Beautiful historic buildings, various venues, restaurants and museums attract tourists from all around the world. The tango clubs are also among the popular attractions, where visitors can enjoy the passionate performance. The vibrant, historic, cultured and simply beautiful capital is a must see once in Argentina. The vibrant, historic, cultured and simply beautiful capital is a must see once in Argentina. In 1502, when the Portuguese explorers discovered the bay, they were amazed by the astonishing bay. Weird shaped mountains and rocks were never seen before by the Europeans. Today it is one of the most recognizable sites in Brazil. Also visit historic Rio de Janeiro Botanical Garden opened in the early 19th century. The capital and the largest city of Chile is founded high in the valley – at 520 m (1,706 ft) above sea level. Surrounded with the Andes mountains, that create the most staggering backdrop, Santiago boasts impressive architecture from various eras, cultural life and sports events. The energetic and cosmopolitan city, Santiago is one of the best cities to go in the country.